Looking for a suitable location for an evening of fine wine and dining? 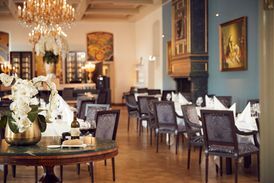 Connoisseurs will find a great selection of restaurants and dining cafés in Utrecht. Looking for a bite to eat? Treat yourself to breakfast, brunch or lunch at one of the city's many cafés and restaurants. Do as the locals locals do and wrap up your day in a cosy bar where you can enjoy some fingerfood (the Utrecht Vockingworst, for example) and a locally brewed beer from De Leckere, then spend the rest of the evening in one of the more than 200 restaurants in the city. Utrecht has a huge selection of restaurants, diners, lunch rooms, coffee corners and delicatessens both in the city centre and in the surrounding districts. Hidden in small alleyways or right on one of the bustling squares, there's something for everyone. For a quick bite or something on the go you can take your pick of numerous burger bars and pizzerias. But should you prefer to take your time for a lavish dinner, there's plenty of restaurants around to suit your needs. Looking for the hidden gems of Utrecht? Check out I know this great little place! 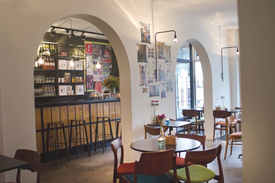 Check out Anne's blog for a complete list of Utrecht's hotspots. A complete itinerary for an amazing weekend in the city of Utrecht.